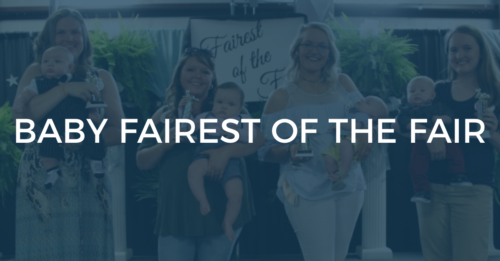 The Baby Fairest of the Fair Pageant will be held inside the Smith County Ag Center from 11:30 a.m. to 12:30 p.m. on Saturday, July 7, 2018. 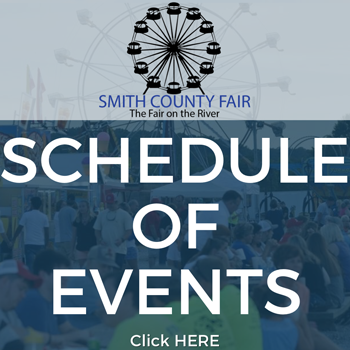 Baby Fairest of the Fair for babies (boys and girls) aged from birth to 6 months will begin 11:30 a.m. Babies (boys and girls) aged 7-15 months will begin at noon. Babies (boys and girls) aged 16-23 months will begin at 12:30 p.m.
Times may vary depending on number of contestants. Female contestants must wear a dress that is suitable for church or a wedding or they may wear a pageant dress. Male contestants must wear an outfit that is suitable for church or wed- ding. NO JEANS. Contestant is REQUIRED to be escorted by an adult. We ask that the escorts be dressed appropriately.